There are some Jews who believe that the Messiah has already returned. Although these Jews are considered cult members or apostates by many, Carol Harris-Shapiro-herself a rabbi-engages one community of Messianic Jews to see what their presence says about American Jewish identity, religious affiliation, and the emergence of hybrid faiths in a secular society. When first published, Messianic Judaism stirred controversy throughout the country. The first book to critically examine the role of Messianic Jews in American religious life, it traces the history of this faith that that accepts Jesus as the savior from its late nineteenth-century origin in evangelical Christian missions. Reconstructionist Rabbi Carol Harris-Shapiro bases this portrait on her conversations with members of a large Messianic Jewish community. 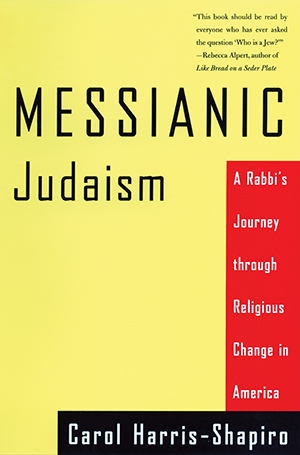 Messianic Judaism adds significant new insights into the nature and varieties of religious experience in United States.